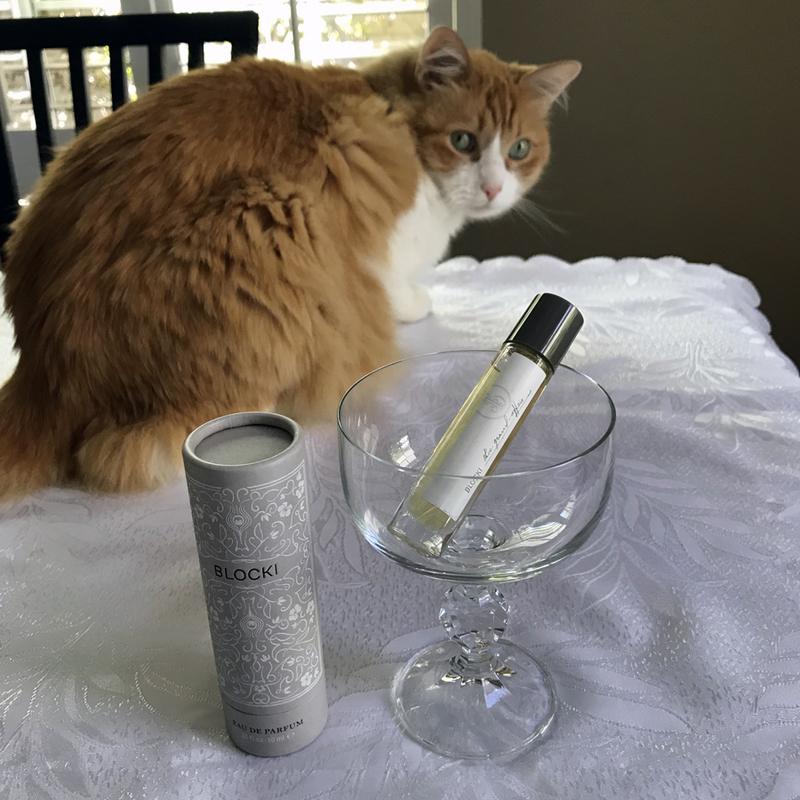 This entry was posted in "Four legs good", Attempt at a Review and tagged Ambra Calabria, Blocki, in every season, Nishane, Tauerville, Tigerlily Perfumery, Vanilla Flash. Bookmark the permalink. When I met Nishane in Milan they have shown me their new perfumista friendly development which was a 15 ml mini bottle (literally!) with a sprayer. I don’t know if they are available already but might be worth checking their website or sending them an email to ask. That’s a great samples policy the store has, and how nice that they make you feel comfortable browsing. Love your avatar! (I’ve read the explanation elsewhere :) ). I’m lucky because about 30-minutes drive away, in the mall with free parking, I have Neiman Marcus. Their selection isn’t as impressive as in the one in San Francisco but good enough to test at least some new offerings. SF stores are better (and we have a plenty of them), but it’s always a longer drive, sometimes with traffic, and costly parking. So I have to balance the number of new releases I want to smell there and the costs associated with doing so: if it’s less than at least 6-7, it’s not worth it economically. So, SF perfume-sniffing trips are usually 2-3 times a year. I might do Tigerlily in addition to that since it’s in a different area with more reasonable parking prices. I got Vanilla Flash in my most recent sample pack. I agree that it’s strong. I suspect that it’s better for cool, dry weather: that should reduce the sillage. So, I’m saving my sample for winter. Related: do you get a slight fruity note from yours? It reminds me of the pear in another vanilla I tried. I cannot identify what I smell but I don’t think I recognize it as pear – be that a perfume note or real thing. I’ll keep my sample until cooler weather settles in and see how it wears then. Tigerlily is on my perfume shopping wish list. Hopefully during my next trip to that area I will visit the shop. Very grateful you shared your experience with us. Their sampling strategy is appealing. I am new to Tauer scents, don’t know why I waited so long. I sampled a few in the last year or so and was dazzled. Boozy vanilla appeals to me, I added Vanilla Flash to my sampling list. This Grand Affair is very pretty. I had a bottle, but it didn’t quite click for me, similar to your feelings about Sanrovia. Maybe I should sample Sanrovia? We might have “opposite noses” when it comes to Blocki. 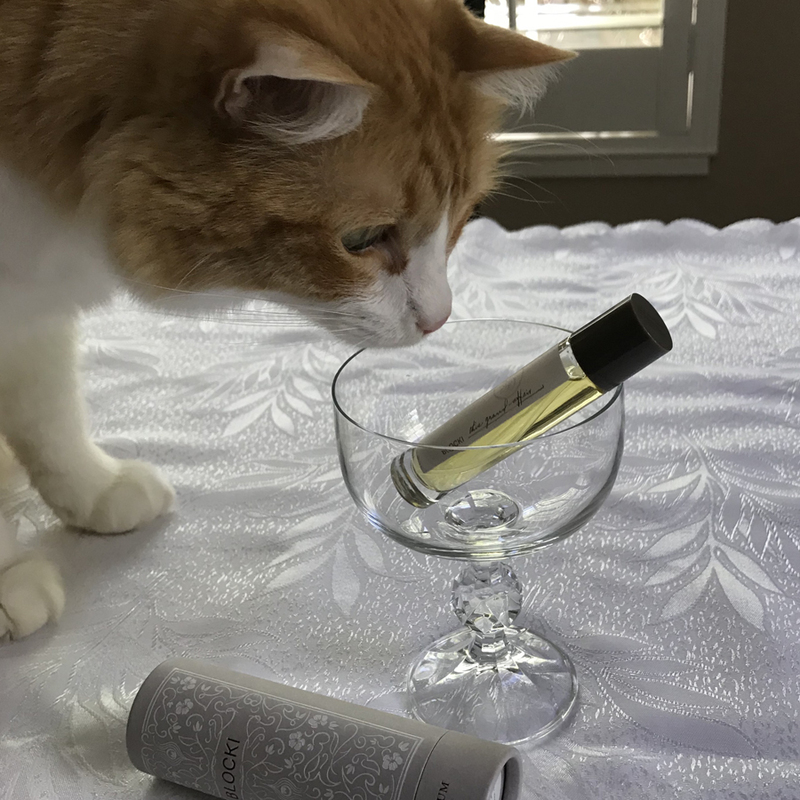 If you let me know which Tauer Perfumes you’ve tried already, I might have a couple of samples to share – so that you don’t have to buy them. Deal! I definitely have at least 2 more that are not on your list. If you send me a note in e-mail, I’ll have a way to contact you in a couple of months. Hey hey Undina! 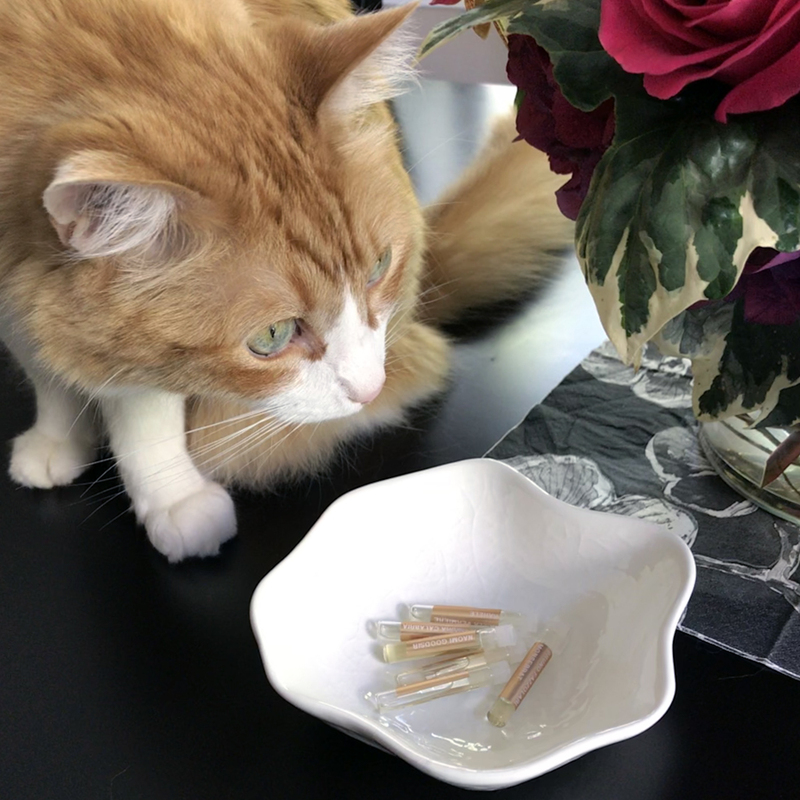 Thanks for sharing your Tigerlilly experiences. I agree with their samples model. With that said, with my proclivity to buy at least one bottle 90% of the time I visit niche boutiques, I tend to end up with lots of (mostly dabber) samples. When I order online, I also usually specify which samples I want and also push the envelope a little and mention 1 or 2 more samples than my purchase would warrant and I get lucky sometimes by getting extras. I can share Vanilla Flash with you. Hugs to dear boy Rusty! Rusty is being cuddled and patted as I’m typing this. Later I’ll give him a treat from you. I don’t buy perfumes that often, but whenever I do I also try to get samples that I want to try. I like fragrance stores that offer samples (within reasonable limits) for free, Undina. Love how even Rusty is turning his back on In Every Season. Tee hee!